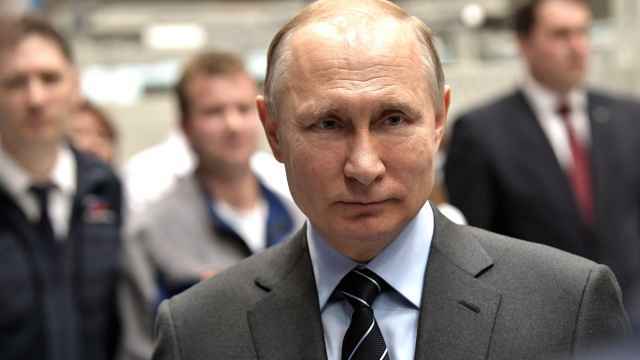 Russians officially celebrated a new holiday on Wednesday marking the country's conversion to Christianity in 988, the latest Kremlin boost to the Russian Orthodox Church, which has grown increasingly powerful since the collapse of communism. Rights groups have criticized the new holiday, approved by President Dmitry Medvedev in June, as undermining Russia's secular Constitution, and members of the country's large Muslim minority have complained that it excludes them. Marking the anniversary, Russian Orthodox Patriarch Kirill told state-run television, "Abandoning the historical significance of the baptism of Rus means discarding the supporting pillar of our entire civilization." Kirill held a liturgy in Kiev, the capital of modern Ukraine and medieval Kievan Rus, whose leader Prince Vladimir converted to Christianity more than a millennia ago and adopted it for his state. Kievan Rus is seen as the precursor to modern-day Russia, Ukraine and Belarus. Clad in a flowing gold cloak in Kiev's historic Pecherska Lavra Monastery, Kirill told thousands of followers, "Facing aggressive atheism and resurgent paganism, we remain firm in our belief in God." The Orthodox Church is undergoing a revival, and Russia's leaders have endorsed it as the country's main faith. 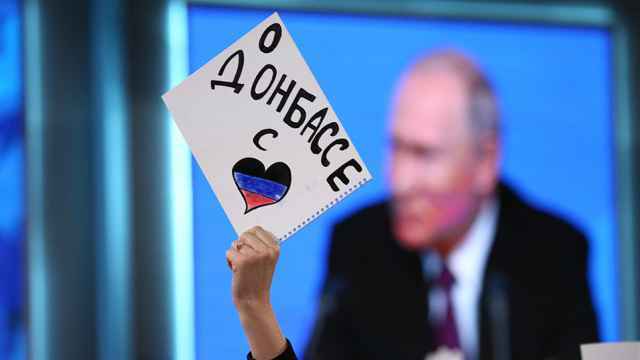 Kirill also presides over the biggest branch of the Ukrainian Orthodox Church, although some Ukrainian clergy have declared themselves independent of Moscow and Kirill's visit to Kiev has angered some Ukrainian nationalists. The trend toward consolidation of the church as a national force in Russia has worried its 20 million-member Muslim population — a seventh of Russia's people — as well as those who believe that church and state should be strictly separated. 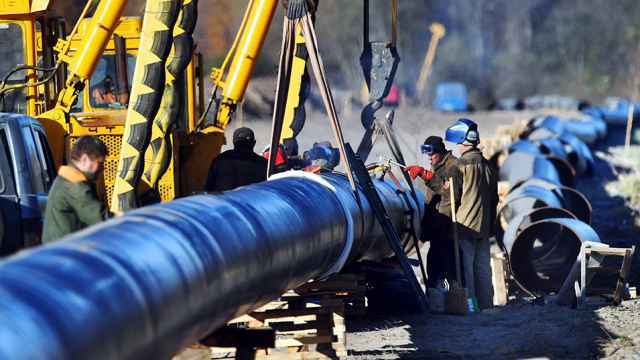 Medvedev on June 1 signed a law making July 28 a national day, a state holiday that is also a working day. 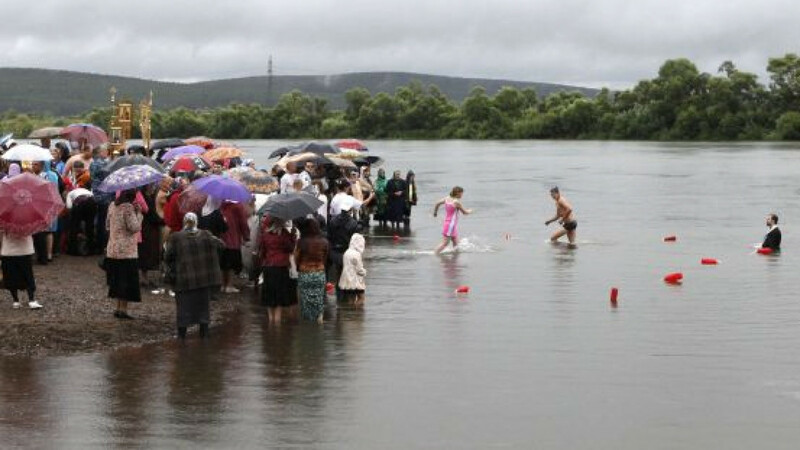 Across Russia, churches held ceremonies and mass river baptisms in honor of the conversion. Since Medvedev's law, Muslim lawmakers have asked for a national holiday to mark the arrival of Islam in modern-day Russia, which Arabs brought through the southern gateway city of Derbent on the Caspian Sea more than 1,000 years ago.